SUKMA PUTRA is currently working as BINUS Case Center Manager at Bina Nusantara Business School. 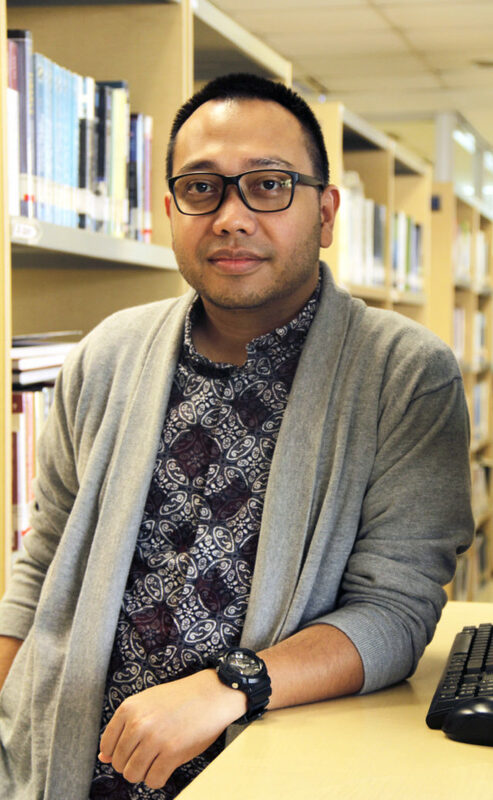 In the process, he has been involved in the making of many business case studies in BINUS since 2015 and was certified by Ivey Business School for case study writing and teaching in 2017. Previously he was in various positions in Australia Awards Indonesia (AAI) for 10 years and managed projects for prominent alumni in Indonesia focusing on development areas such as food security, health, education, poverty reduction, energy and innovation of technology and infrastructure. Putra, S. (2012). Motivation: Are there limits to what can be achieved? Journal of Business Strategy and Execution. 5 (1), 39-45. Fauk, N.K., Mwakinyali, S.E., Putra, S., Mwanri, L. (2017). Understanding the strategies employed to cope with increased numbers of AIDS-orphaned children in families in rural settings: A case of Mbeya Rural District, Tanzania. Infectious Diseases of Poverty. 6 (21). Putra,S. & Fibra,A. (2015). Teamwork as Innovation Generator: An Analysis of Project Hatchery at BINUS University International, presented at the International Conference on Organizational Performance Excellence (iCOPE), 7-8 December 2015. Jakarta, Indonesia. Bismo, A., Putra, S., Sarjono, H., Nasrul, L. (2018). The Effect of Functional Delight towards Positive Emotion Affect on Impulse Buying, presented at the 5th International Conference on Management, Hospitality & Tourism and Accounting (5th IMHA 2018), 4 September 2018. Jakarta Indonesia. Toindo, H., Hutagaol, Y.R.I., Putra, S. (2015). PT. Bank Mandiri (persero), tbk. : Human resources integration – from diversity to equality. Syamil, A., Putra, S. (2017). JNE: Leadership in logistic company. Tamara, D., Putra, S. (2017). Leadership in rural areas: A case study in Indonesia. Kongdro, H., Putra, S., Bismo, A. (2017). Conwood house in 7 days: Disruptive business model. Martowijoyo, A., Hutagaol, Y.R.I., Ramadhan, A.S., Putra, S. (2017). Astragraphia: Agenda for Business Renewal. Alamsjah, F.A., Putra, S. (2018). Warunk upnormal: The pioneer of contemporary noodles. Putra, S., Bismo, A. (2018). Online-based applications vs conventional logistic company: A case of jne and gosend. Putra, S., Setiawan, M., Mathilda, S. (2018). Toy’s r us: Victims of the Digital Revolution. Case Teaching and Writing Workshop, May 22-25, 2017. Ivey Business School.